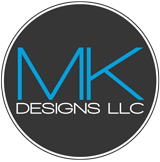 Fill out the Form for a Free Site Visit/Kitchen Design Consultation! With our Free kitchen design consultation we will come to your location and take a look at your job. We know the difficulty of getting everything just right on your new or remodel custom kitchen job. We want to make the process as pain free as possible. Fill out the form and we will contact you very soon about a FREE Site Visit! Your plans do not need to be professional plans. If you give us a rough sketch of what you're looking for, we can work with that.